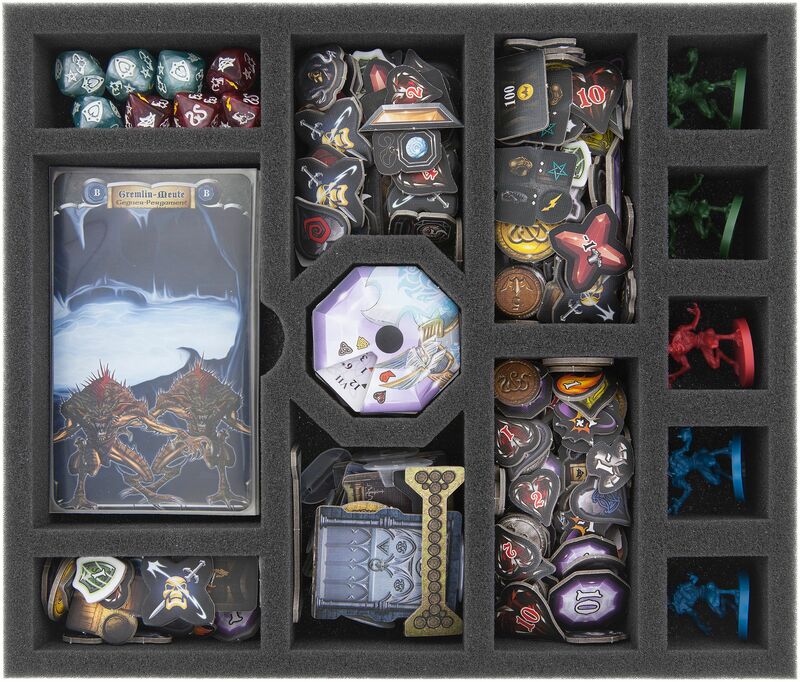 This foam tray set for Sword & Sorcery is perfect for the official Sword & Sorcery board game box. 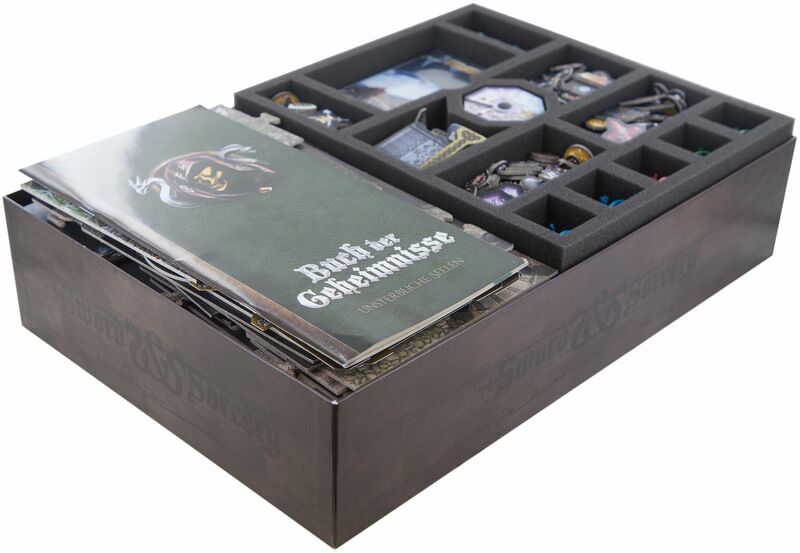 All big figures and the entire game material fit in the foams. 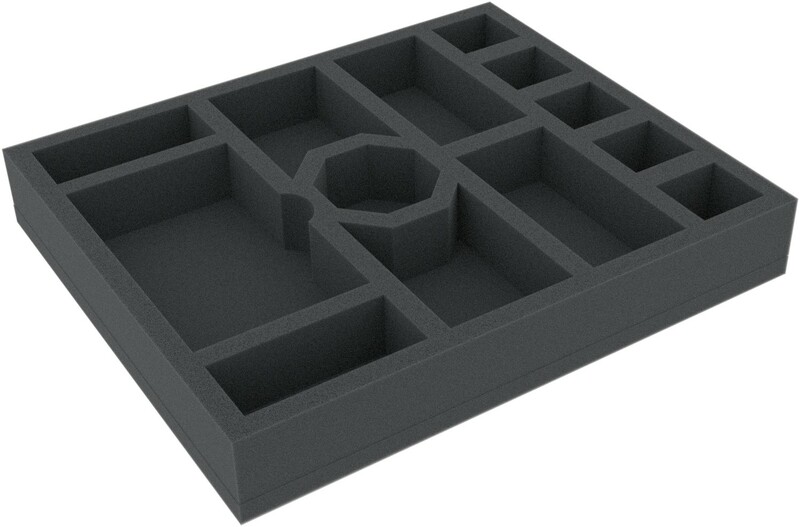 The set consists two foam inlays. 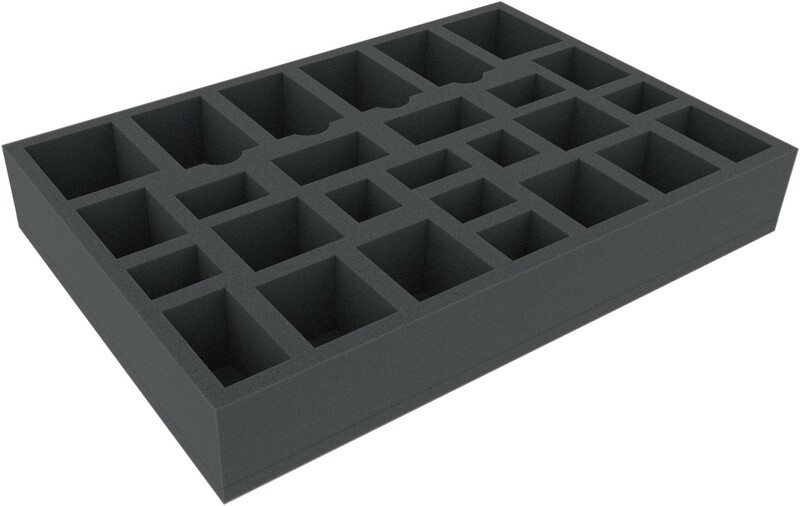 Because of the amount of Board Tiles, one of the foam inlays is designed in a way that the Board Tiles can be placed safely alongside it. 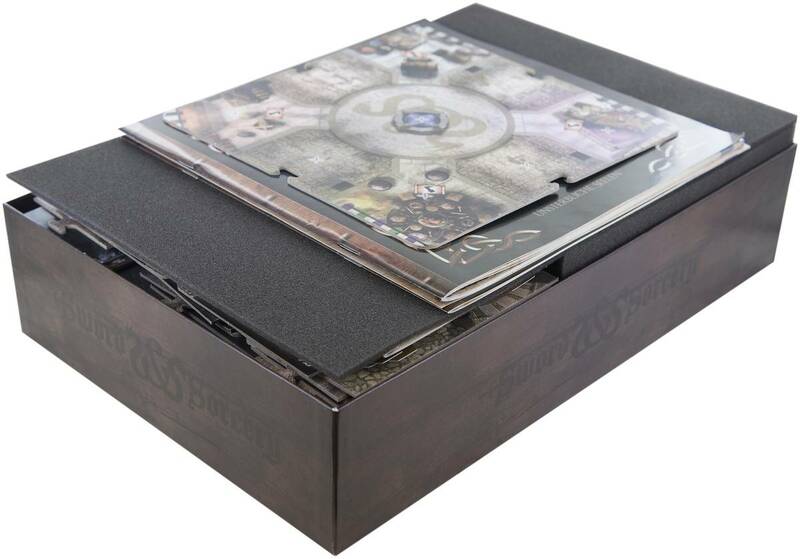 So the Board Tiles can be transported practically in the board game box. 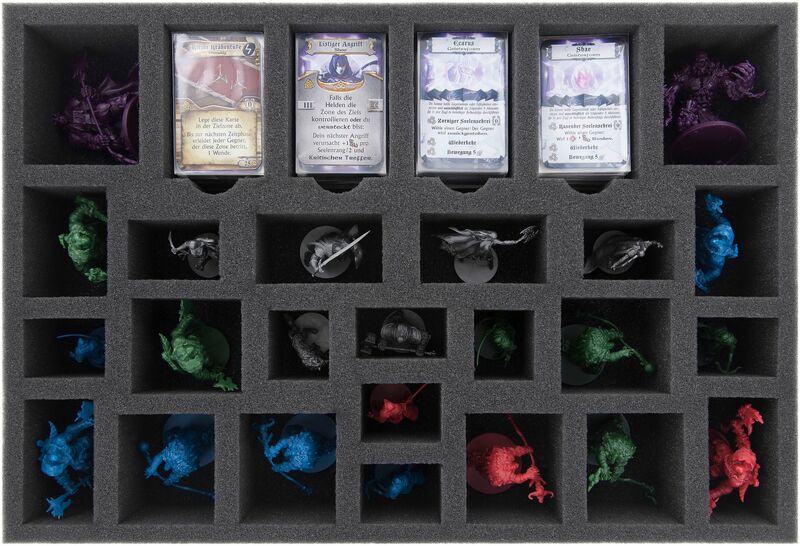 The big foam tray protect all big miniatures with a separate compartment. 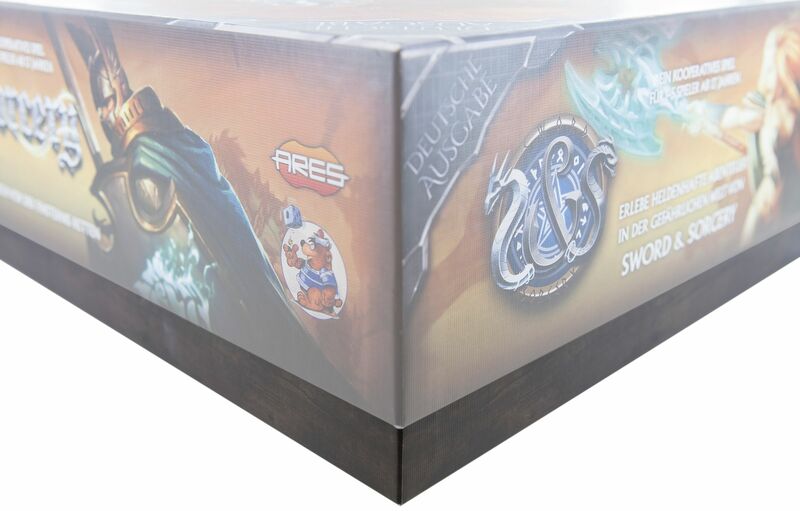 Further four slots are provided for cards (also with sleeve). 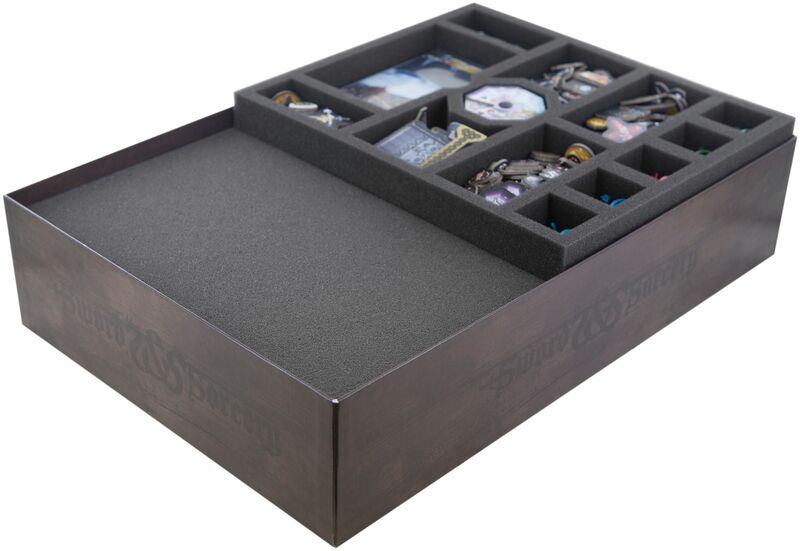 The second, smaller inlay, offers space for the additional game material. So you have space for the tokens in six different slots, five slots for the small figures, two slots for dice, one slot for Enemy Scroll and another for the Soul Gems. 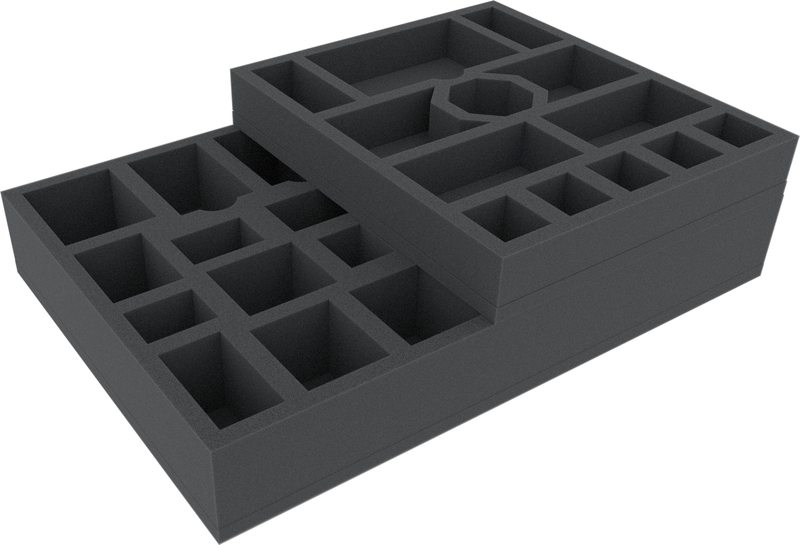 Beside the smaller tray you can place the Board Tiles and Dashboards.